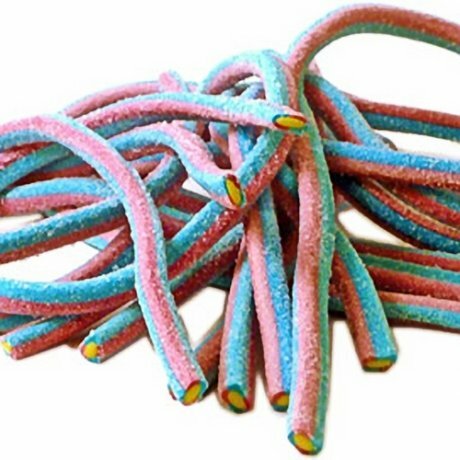 Giant Fizzy Red Blue Raspberry Cable - Think Pencils... then supersize them... then add a slightly sour/fizzy sugary coating. These giant fizzy raspberry cables are absolutely full of fruity flavour. They're stunning! We coil them carefully into bags - but they are so long and thick that they might break up a bit in transit. Doesn't affect the taste one bit though - they are absolutely delicious!